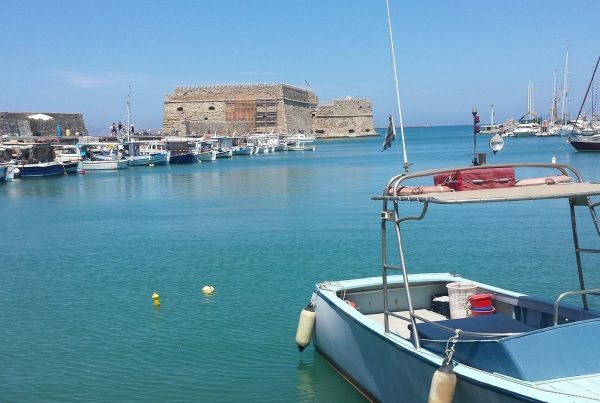 Heraklion today is living between the fast moving currents of regeneration and a deep desire to maintain links with a past, both these strands defining its character. The ‘old town’ areas of the city, established in medieval times, now offer visitors some fantastic walks in the heart of the city. Such a nice walk may start at the fishing harbor close to the Rocca al Mare, now known by its Turkish name, Koules, for centuries used as protection against invaders. At the sea front there are several cafes and restaurants, mostly of the “touristy” variety. But to sit by the sea, with the fortress in view may well be worthwhile. 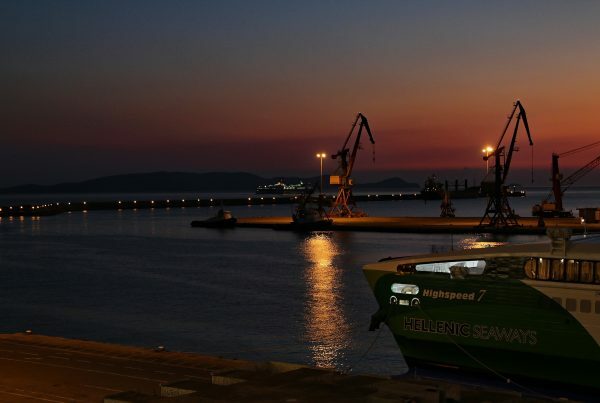 You will also see Heraklion city’s commendable effort to improve the waterfront, which is now accessible, paved – even has a new square and fountain! This renewed area stretches from the marina (at the bottom of 25th of August street) going west in the direction of the Olympic Stadium and Ammoudara beach area. Looking back towards the city you will see the strong arches which housed boats under repair and were used as an arsenal for storing guns and gunpowder. 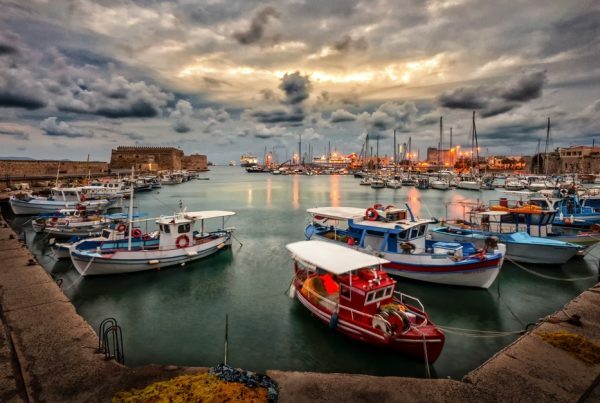 The greatest threat to the Venetian stronghold of Heraklion, or Candia, as it was named, was thought to come from the seaward side of the city, and indeed, many naval skirmishes were fought off this coast. The view northward takes in the uninhabited island of Dia, where evidence of a ancient Minoan settlement (approx 2700-1450 BC) was found by the explorer, Jacques Cousteau. 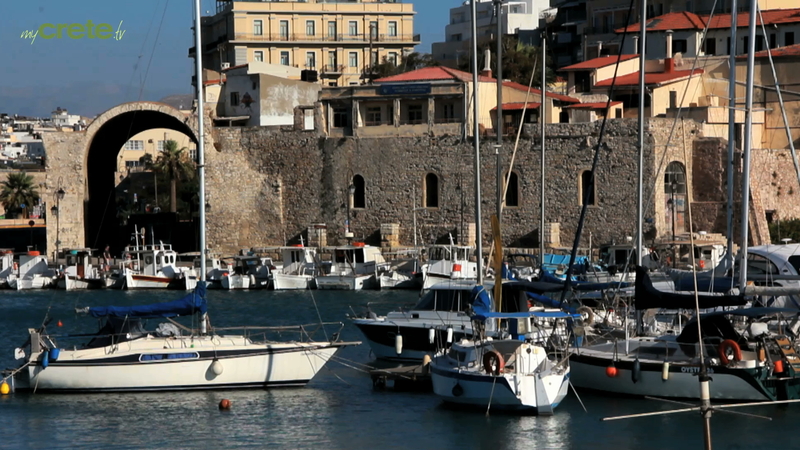 Boat trips can be booked from travel shops throughout central Heraklion, as can excursions to various places of interest.